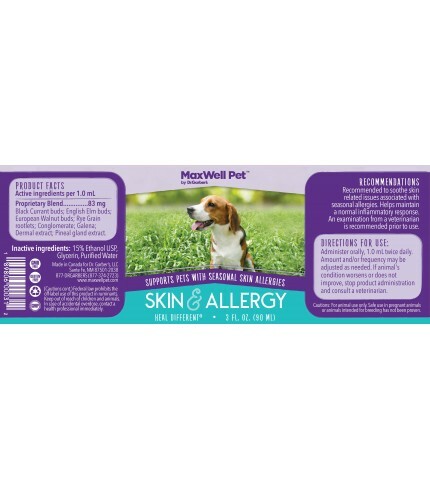 MaxWell Pet Skin & Allergy soothes skin-related issues associated with seasonal allergies. Our natural formula helps your pet maintain a normal inflammatory response. Directions for use: Administer orally; 1.0 ml, twice daily. Amount and/or frequency may be adjusted as needed. 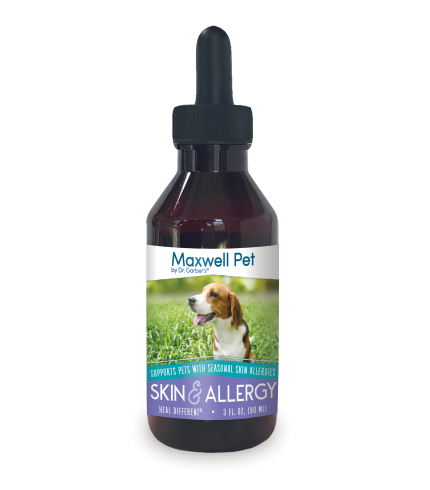 All MaxWell Pet formulas may be taken simultaneously. Storage: Keep at room temperature and away from direct sunlight. Does not have to be refrigerated. Do not leave on or near sources of electromagnetic radiation such as televisions/ computers. Each product has a shelf life of five years.